Being organised in our house is a must. In the kitchen we have our family calender. By the back door we have two chalk boards for shopping and must do's. In my office I have my thinking board for work. So, of course I knew what I was going to do with a drywipe and cork board. It's gone on the wall above my desk. Mr J is always forgetting things even though they're on the calender. Because of course once you've written it on you never revisit it (?!?). I'm finding it quite therapeutic to take 5 minutes on a Friday to make sure we've got things planned. And as you can see it by just opening the office door, Mr J can have a quick look whenever he's sorting things to avoid the inevitable double-booking which seems to happen (but only be him!). I especially like that where we have it means it's easy to take on and off the wall. Our other boards require screwing direct to the wall, which means I'm usually leaning over things or on tiptoes trying to write. This is a perfect planning tool. 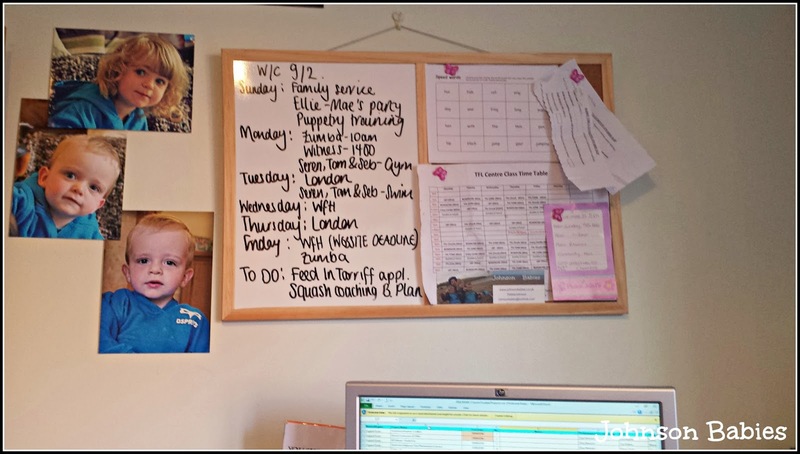 The 5 Star Drywipe + Cork Board is great value at £6.87 (plus VAT), it is good quality, and a basic design. It is the type of wood which you could paint to glam up, or leave as is. It's easy to lose the pen, especially as little hands patrol my office. It would be useful to have somewhere to hold the pen, but still make it easy to scrawl across the board. It is a great size, big enough to add plenty of information, small enough to not take over the wall. 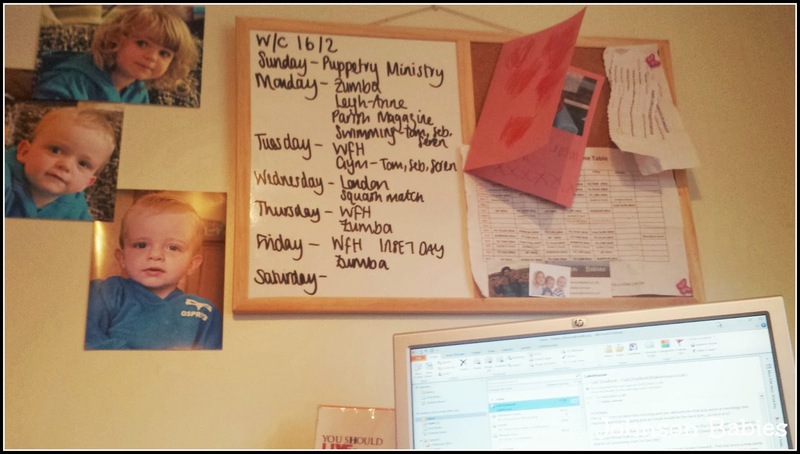 This has proven a really good organisational board for the family, and also allows me to make sure I know when I'm getting my family time! Disclosure: We received a Drywipe and Cork Board for the purposes of this review. All opinions and views contained are our own.